Albania’s second largest city, home to the Balkan country’s main port and thriving commercial centre, and just 150km across the water from the Italian coast, is Durrës, a city that is currently undergoing a renaissance thanks in part to a financial boost from EU funds. With the government focussing wholeheartedly on cleaning up the city and surrounding areas through demolishing illegal developments, planting more trees and rejuvenating the coastline, the wide-ranging regeneration of Durrës is well and truly underway. The figures speak for themselves. As of the tail end of last year, INUK was reporting the tearing down of 230 illegal buildings in the city, with the coastline being rejuvenated and redeveloped in a positive standout move by the Albanian authorities. As part of this move, there has been a large increase in the number of new building permits granted in the Durrës prefecture, according to the Quarterly Statistical Bulletin of the Albanian National Statistics Office, , recording a massive 500% increase in figures in Q3 2014, compared to the previous quarter. This spotlight on Albania’s second city is within the context of a positive period for the country as a whole, as it continues to move towards EU status. The latest INSTAT Quarterly Statistical Bulletin has also revealed a huge increase in the value of building permits issued in Albania as a whole, from 6,404,601 lekë in the second quarter of 2014 to 23,370,865 lekë in the third quarter, a massive 265% increase in just three months, whilst the size of permits granted for new buildings grew by 182% year on year, to 584.814 m² in Q3 2014. This growth in the country’s construction industry comes at a time when visitor numbers are reaching new highs, ensuring the property and tourism increases are working hand-in-hand to result in an exciting period for Albania. The number of foreign citizens arriving on Albanian shores totalled 1,779,569 in Q3 2014, up 118% on the previous quarter’s figures of 815,196. Of these, some 1,617,264 were of European descent, with this faction growing by an outstanding 109% within a three month period. Yet it is not just these impressive statistics that are ensuring that Albanian shores are appearing increasingly attractive to those looking to buy property outside of their own country. The Colliers International ‘Global Investor Sentiment Report 2015’ has revealed that EMEA (Europe, Middle East and Africa) investors are more and more looking to ‘risk’, or emerging, markets such as Albania when growing their portfolios, with almost 60% stating that this is now the focus for their capital. And with Durrës such a hotbed for growth, this is one area which they are sure to focus upon. An example of the ideal investment opportunity in this region is Lalzit Bay Resort & Spa, a five-star, beachfront resort boasting luxurious facilities and standout views of the beautiful sandy beaches and Dajti mountain range. 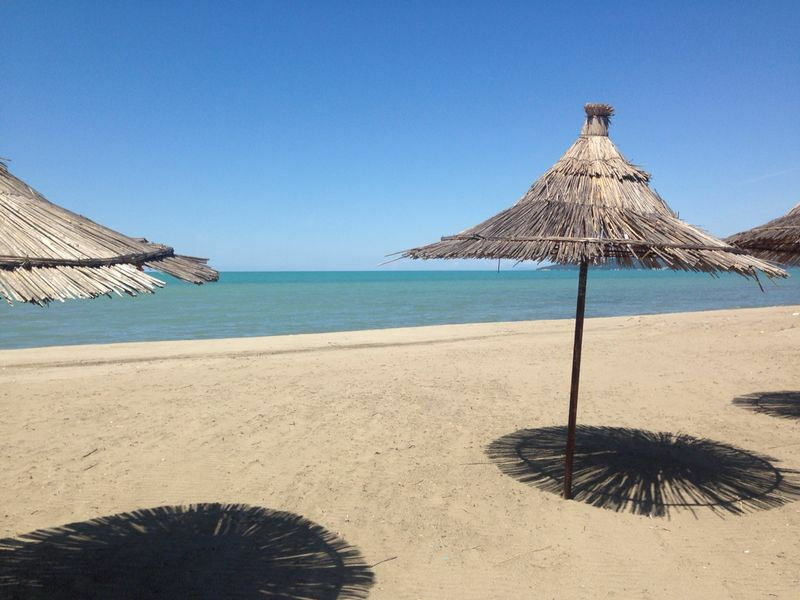 Just 30 minutes from Durrës and boasting a beach club, range of top restaurants and bars, tennis courts and boutique shops, Lalzit Bay Resort offers a range of properties built at low density and to the highest of standards. 1 or 2 bedroom apartments and 3 or 4 bedroom villas with private pools are inspired by California’s elegant and modern beachfront properties and are priced from €35,000 to €360,000. Lalzit Bay Resort and Spa, just 30 minutes from Tirana through which the new ‘Mediterranean Route’ passes, is the ideal investment option for those looking to capitalise on the growing Albanian market, as well as those looking to visit the beautiful country themselves, on two wheels or otherwise. 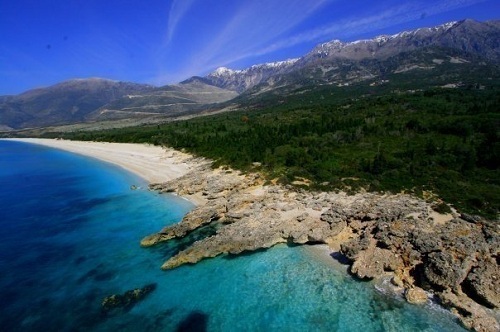 The hidden jewel in Europe’s crown, the Balkan country of Albania, witnessed an increase in foreign visitor numbers of 24.9% from the second quarter of 2013 to the second quarter of 2014, the country’s national statistics office, INSTAT, has revealed. Their ‘Quarterly Statistical Bulletin’ also demonstrated in more detail how these visitors were reaching Albania, showing that 703,980 of the 815,196 foreign tourists visiting in Q2 2014 arrived by land, an increase of some 32.9% on the same period the previous year. Visitors arriving by air numbered 86,929, an additional 11% on the year before. “Albania has emerged from a history of communist rule and political instability to a present time of growing prosperity, stable government and hugely encouraging visitor numbers, looking towards a future of EU accession (the country has been confirmed a candidate), bolstered GDP and increasing tourism. And what a country it is – beautiful scenery, close proximity to Italy, easily accessible direct from the UK, a Mediterranean climate, friendly people… Albania has a great deal to offer. And Walshe’s mention of business is certainly on the mark. The World Bank has recently released their ‘Ease of Doing Business Ranking’ for 2015, a matrix that scores 189 nations on how hard it is to run a company in their country, and the result was a positive one for Albania. Last year’s ranking saw the country placed 108th, yet within the space of one year, the nation has risen 40 places to stand at 68th. This incredible achievement proves that the hard work that the Albanian government have been doing to support Foreign Direct Investment (FDI), lowering company registration fees, easing the granting of construction permits, and implementing the new law on territory planning, for example, are paying off, making the nation more attractive to those looking to do business and, in turn, successfully make money. 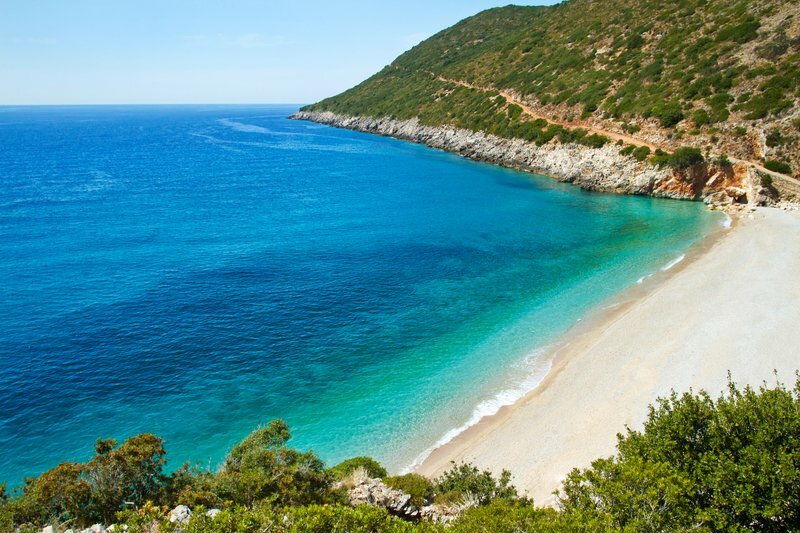 Yet it is not just business purposes that are drawing more and more people to Albania’s shores, the rise in visitor numbers is also largely due to more and more people holidaying in this corner of Europe, according to INSTAT. Growing an impressive 106.4% in just one year (from Q2 2013 to Q2 2014), the number of foreign tourists arriving in Albania on holiday has increased from 95,335 to 196,813. All this positive movement in both the tourism and business sectors has resulted in encouraging growth in the country’s finances, with the European Commission revealing 2014 GDP growth to be 1.8%, with increases of 2.9% and 3.5% predicted in turn for the coming two years. These statistics make it easy to see why Standard & Poor’s has improved its outlook for Albania’s economy from a rating of ‘stable’ to one of ‘positive’ and also why London-based investment company, Charles Street Securities LLP is backing the country’s first five star resort, Lalzit Bay Resort and Spa. Lalzit Bay Resort and Spa is the ideal investment option for those looking to capitalise on the growing Albanian economy, as well as those looking to holiday in the beautiful country themselves. The beachfront resort provides luxurious facilities, including a beach club and tennis courts, boutique shops, top restaurants and bars. Properties range from 1 or 2 bedroom apartments to 3 or 4 bedroom villas, boasting spacious indoor and outdoor space, optional private swimming pools and the very best fixtures and fittings, all inspired by California’s elegant and modern beachfront houses. Prices range from €35,000 to €360,000. A clear indicator that the Albanian property market is on the up, it has been revealed that the size and scale of new building projects in the country are increasing – at an astounding rate. Figures released by the Albanian National Statistics Office, INSTAT, in their Quarterly Statistical Bulletin have shown that the size of new developments being granted construction permission have grown in 2014 by an impressive 149.6% from a size of 83,420 m² in the second quarter of 2013 to span 208,222 m² in the second quarter of this year. Marking a turning point for this buoyant market, the booming scale of new building projects has also been supported by eye-opening growth in the value of these projects year-on-year. The INSTAT Bulletin revealed that Q2 2013 saw a figure of 3,003,666 thousand lekë being spent on new building projects granted permits, with Q2 2014 seeing 6,404,601 thousand lekë spent, a staggering 160.1% growth within a single year. In the second quarter of 2014, 39 building permits were approved in Albania, with 79.5 % of those being for residential buildings. With this sector showing the most growth, certain areas are benefitting more than others. Unsurprisingly, the area in and around the capital Tirana registered the highest proportion of new building projects, with some 48.7% of Albania’s newly confirmed properties being built there, an increase of an astonishing 130% year-on-year from Q2 2013 to the same period in 2014. Just 30 minutes from Tirana’s international airport, Lalzit Bay Resort and Spa is a prime example of a new project being developed with the backing of UK investors to drive its successful growth. This luxurious resort is situated on the unspoilt Adriatic coast, just 45 miles across the water from Italy and sharing many of its natural charms: of long golden beaches, breathtaking mountain ranges and a sunny climate, yet with an untouched beauty of its own that is second to none. Following in the footsteps of those new projects being granted permits, Lalzit Bay is one step ahead, with construction on phase one of the project now 70% complete. Infrastructure and building of the apartments are almost finished, as is the superstructure for the first group of villa shells, as well as the subterranean infrastructure. With five star facilities planned, including a beach club and tennis courts, boutique shops, top restaurants and bars, connecting the resort to the national electricity supply has been a landmark step, meaning that more stages can now naturally evolve from hereon in. Work has commenced on the next five villas – all of which will boast spacious indoor and outdoor space, within phase one. Landscaping is due to begin in Q4 2014, as is development of the water supply too. The first 80 apartments are 80% sold already, and there are deluxe and villa apartments also available. Properties range from 1 or 2 bedroom apartments to 3 or 4 bedroom villas, boasting the very best fixtures and fittings, all inspired by California’s elegant and modern beachfront houses. Prices range from €35,000 to €360,000. Italy v Albania – Who will be the property champion? As their national football teams prepare to face each other in a friendly match on 18th November at the Stadio Luigi Ferraris, Albania and Italy each begin to size up the opposition. Just 45 miles apart at their closest point and separated only by the Adriatic Sea, these European neighbours may be closely linked in terms of their proximity but is that 45 miles really a world apart when it comes to their property prospects? 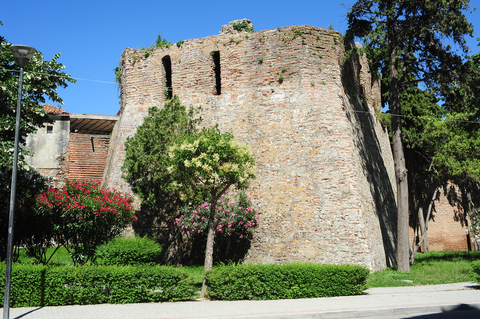 Albania’s port city of Durrës is the second largest city in the country, and one of the most ancient, with a history dating back to the 7th Century BC and city walls to prove it. The largest Balkan amphitheatre is situated here and the golden sands of its beaches as well as those of Lalzit Bay, located just to the north, draw in the crowds, helping to establish the city as a popular tourist destination, albeit one that has yet to reach the giddy heights of its Italian neighbour. Directly across the sea, Bari is similarly a port city and Southern Italy’s second most important economic hub, not surprisingly twinned with its neighbour of Durrës. Part of the Puglia region, popular with second-home owners, such as face of ‘A Place in the Sun’ Amanda Lamb who has owned two properties here over the years, Bari’s beaches are a mix of pebbles and sand, yet its sights are plentiful, with the Petruzzelli Theatre one of the most lavish opera houses in Italy and the interesting architecture of Bari Cathedral a highlight. Long-established as a tourist destination, the Puglia region saw in excess of 1.17 million tourist arrivals during January to June 2014, according to the Region of Puglia government tourism agency, Pugliapromozione, with an increase of 7% in visitor arrivals from overseas. Overall, however, Albania can be said to offer more scope for tourist growth, with Visit Albania reporting an outstanding increase of 75% in the number of foreign tourists visiting for holiday and day visits in Q1 2014, when compared to the same period of 2013. Another indication of this growth potential is the recent establishment of a second tourist office in Albania, situated at Durrës port, which follows in the footsteps of the first located at the capital Tirana’s International Airport. Both locations have much to recommend them to visitors, sharing a Mediterranean climate in which to explore their many sights, yet it is Albania that offers the lowest cost of living, making visits to its shores more affordable than Italy. On the travel map, however, the allure of both destinations has given them famous connections, with Clint Eastwood, playing Robert in film ‘The Bridges of Madison County’ telling Meryl Streep’s Francesca that he thought Italy’s Bari “looked like pretty country” and romantic poet Lord Byron having travelled through Albania, remarking on its beauty. In terms of accessibility, both destinations score highly, with year-round flights to and from London and summertime schedules that ramp up frequency and ease of travel. Yet it is Albania that in fact tips the balance, with Albania’s Tirana International Airport welcoming up to five direct British Airways flights a week from London in comparison to the carrier’s up to thrice weekly flights to Bari’s Aeroporto di Bari-Karol Wojtyła. Because of this, each has therefore drawn a second home market, with Puglia currently edging ahead with a more developed tourism industry (Dame Helen Mirren even has a second property there, noting that the locals are “incredibly hospitable and welcoming”). Yet with Albania comes greater potential in the market for investment opportunities and future growth. “On first glance it would seem that Italy has more to offer buyers than the Balkan nation, yet a great deal of this is that the market is more established. In recent years more and more people have been visiting the hidden European gem of Albania and discovering its ample charms and there is no sign of this ceasing. What’s more, these prospects became even more pronounced with the recent granting of EU accession status to the Balkan country heralding an exciting and prosperous future ahead. In the meantime, however, property prices in Italy’s Puglia region do reflect its more established nature sitting at around €60,000 for a typical 1 bed apartment and €100,000 for a 2 bedroom apartment. Prices for a typical 3 bed villa stand at approximately €280,000 and a 4 bedroom is priced around €400,000. Albanian prices, therefore, compare favourably for those looking to pick up a property bargain, yet with the same quality. Lalzit Bay Resort and Spa, situated on the Albanian coast, just north of Durrës, with beautiful views of the Dajti mountain range, instead offers properties of the highest quality within a five-star resort. A low-rise development with a host of excellent facilities – from a beach club and tennis courts to boutique shops and top restaurants and bars – offers a range of property options, from 1 or 2 bedroom apartments to 3 or 4 bedroom villas, boasting spacious indoor and outdoor space, inspired by California’s elegant and modern beachfront houses. 1 bedroom apartments start at €49,000 and 2 bed apartments from €68,000, with 3 bedroom villas starting at €200,000 and 4 and 5 bedroom villas from €330,913, markedly cheaper than average Puglia property prices. While it remains to be seen who will be victorious when the teams kick off in Genoa on 18th November, although Italy remains the undeniable favourites, it seems that Albania is the one of the pairing that comes out on top in the property stakes. With a great deal to offer like Italy, yet with a lower cost of living, rapidly growing tourism market and more affordable property options, it is Albania’s Adriatic shores that beckon for wise future property prospects. Britain used to have an incredibly poor reputation when it came to cuisine, but two decades of love and attention have revolutionised the UK’s edible offerings. Now, the country can proudly boast of its world-class cuisine, with everything from fine dining establishments in big cities to gourmet country pubs attracting tourists to the UK. However, Britain’s foodie offerings were insufficient to earn it a mention in the Huffington Post report on the 20 most Michelin starred cities by capita in the world. Instead, France, Italy and Japan stole the limelight, with Spain (San Sebastian and Marbella) also earning two spots in the top 20. The Spanish results are a far cry from the ‘Costa del Nightmares’ currently being showcased on British TV by Gordon Ramsay. Of course, nightmare restaurants can still be found in Spain (as in any country), but the majority of establishments are offering fresh, locally produced food that celebrates the country’s fantastic flavours. 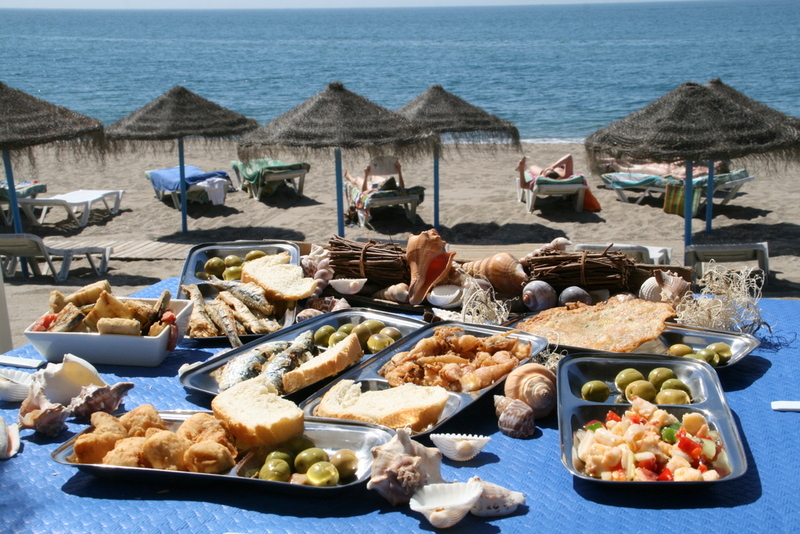 In fact, Spanish cuisine drew 7.4 million international tourists to the country in 2013, according to Turespaña – an increase of 32% on 2012. Taylor Wimpey España has two developments currently near the foodie capital of Marbella: La Floresta Sur, in a peaceful location near Elviria Beach, where the large two and three bedroom apartments start at €178,000; and Avalon, in the best golf resort near Puerto Banus, where apartments are available from €265,000. Italy’s gourmet reputation is unquestioned and its pizza, pasta, gelato and wine have been drawing tourists to it for decades. Data from the National Union of Chambers of Commerce reveals that 67.5% of those who travel to Italy attend its restaurants and pizzerias, while 68.3% frequent bars, cafés and bakeries. “Italy has such an incredible reputation for food and it’s definitely well deserved. Here in the Le Marche region, the emphasis is on locally sourced produce, so the diet is rich in game, fish, wonderful cheeses, peppery olive oils and soft, velvety red wines. We buy and cook what is in season, the ultimate in healthy living. My personal favourite are the local mussels, caught in Pedaso, cooked in white wine and garlic, accompanied by a chilled glass of local passerina white wine’’. One less obvious gourmet destination, but one that is fast rising up the ranks of foodie must-visits, is Albania. Just 45 miles from Italy, Albania’s cuisine shares many of its neighbour’s flavours, but without the heft price tag. While Italy is known as an expensive place to eat and drink, Albania offers the same wines for as little as €4, making it a wonderful alternative for a foodie holiday. As rain and winds descend on the UK once more, the lure of winter sunshine becomes ever stronger. Thanks to destinations such as those mentioned above it can now be accompanied by gourmet feasting as well. Taylor Wimpey España: +44 (0) 8000 121 020 or www.taylorwimpeyspain.com. Those residing outside of the UK should call 0034 971 70 69 72. Lalzit Bay: +44 845 125 8600 or visit www.lalzitbay.com. Foreign Direct Investment (FDI) into Albania, the emerging Balkan nation headed by Prime Minister Edi Rama, is back on the agenda as the country focuses on building a strong economy. This collaborative approach is one that is central to the minds of the modern Albanian government who have realised the key role of foreign relations to the success of the previously communist country. And this revolutionary approach is having a positive effect. The 2014 Index of Economic Freedom, that uses 10 factors covering Rule of Law, Limited Government, Regulatory Efficiency and Open Markets to determine the ‘economic freedom’ of a country, has revealed that Albania scored 66.9 on a scale of 1 – 100, an increase of 1.7 points on the previous year’s Index, ranking it 25th of Europe’s 43 countries. Highlighting improvements that include structural reforms of, amongst other things, competitive flat rate taxes and trade reforms, and with a score that is also above average in the worldwide ranking, the Index notes a 17-point increase for Albania in the past 20 years, proving that Edi Rama’s efforts are paying dividends for the Albanian economy. This sense of increasing economic stability and a positive forward-thinking stance has had a knock-on effect for those looking to invest their monies in the growing Balkan country. Instilling a sense of confidence and optimism with regards to growth potential in Albania, this has been reflected in the numbers following through financially. The International Monetary Fund (IMF) has shown that FDI Net Inflows reached an impressive figure of $1,369,659,000 in 2011, their highest ever value, up from a mere $325,138,300 in 2006, a major increase of $1,044,520,700 in foreign monies invested in Albania in just 5 years. Taking advantage of the many benefits of investing in Albania from outside of the country – including its wealth of natural resources, excellent location that offers great potential, no governmental restrictions to investment and EU candidacy having been granted in advance of an expected joining of the EU in coming years – increasing numbers of overseas companies and individuals are looking to spend their hard-earned cash on Albanian shores. One such foreign investor is Charles Street Securities LLP, a London-based investment company founded in 1984 by Managing Partner and Chief Executive Gerard Mizrahi. Having seen the real investment potential in the Albanian market, CSS LLP are backing the development of the country’s first high-end resort, Lalzit Bay Resort and Spa, situated close to the capital Tirana on the stunning Adriatic coast. The financial backers of Lalzit Bay Resort are in good company. Albania’s Deputy Minister of Energy and Industry, Dorian Ducka, recently announced that the country is anticipating Trans Adriatic Pipeline (TAP) to invest a breathtaking 1 billion Euros of direct foreign investment, making Albania a key player in the movement of natural gas to the Western Balkans. And this positive movement is set to continue, with Rama having big plans for the continued development of FDI and the future of Albania in general. One such plan that will feature heavily is the expected introduction of an Investment Council that will work directly with those putting money into Albania, providing structure and encouraging collaboration. Lalzit Bay Resort and Spa offers affordable property options for those looking to invest in Albania. The luxurious resort provides five star facilities, including a beach club and tennis courts, boutique shops, top restaurants and bars. With investors such as Charles Street Securities LLP already a part of this improving picture through Lalzit Bay Resort and Spa, the future is looking bright for Albania and for those who have followed suit with their money. It may not seem to be the natural leap from the South-West city of Bristol, England’s 6th most populous city, with its bustling crowds of shoppers and famous Brunel-designed Clifton Suspension Bridge, but the undiscovered Albanian coastline, with its golden sands and azure waters, is proving to have a very special magnetic draw for one Bristolian. Just 45 miles across the water from Italy and bordered by the popular tourist hotspots of Greece and Montenegro, the comparison of Albania to its neighbours is an interesting one and one that is not lost on Neil. 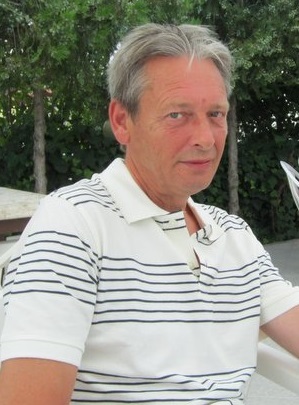 Recognising that Albania is one of the few underdeveloped countries in relation to mainstream tourism, Neil saw the potential in buying in a market where the cost of home ownership is relatively low and the cost of living approximately half that of neighbouring countries. And Neil is right to spot the growth in tourism. Albanian Prime Minister Edi Rama recently noted a rise of 14% in the number of tourists visiting the country this year and with the World Travel & Tourism Council (WTTC) revealing in their ‘Travel & Tourism Economic Impact 2014’ report that the direct contribution of travel and tourism to the country’s GDP is scheduled to rise by 5.5% in 2014 and by 5.6% each year until 2024, it is clear that now is the ideal time to invest in a property in this corner of the Balkans. “I think my family and friends were surprised when I said I’d chosen Albania as the country in which to buy, I think because until recently it had not been heavily promoted as a holiday destination. However, when I explained the reasoning for my decision and the potential growth prospects (both in terms of my investment and the country as a whole) they soon saw the sense in what I am doing and being able to show them the development updates means that they are all impressed by what they have seen. Just 30 minutes from the international airport of Tirana, Lalzit Bay Resort and Spa boasts a breathtaking beachfront location on beautiful golden sands with stunning views of the Dajti mountain range behind. A low-rise five-star development with a host of excellent facilities – from a beach club and tennis courts to boutique shops and top restaurants and bars – the resort offers a range of property options, all built to the highest of standards. One or two bed apartments are available, like the one purchased by Neil, or three or four bed villas, boasting spacious indoor and outdoor space, optional private swimming pools and the very best fixtures and fittings, all inspired by California’s elegant and modern beachfront houses. Prices range from €35,000 to €360,000. It was the German politician Franz Josef Strauss who claimed the South-Eastern European country of Albania to be like “Virgin California” when he visited in 1984, in awe of its natural beauty and untapped potential. Now, exactly thirty years on, it has been revealed that Strauss’ claims were true to the mark, with the release of new figures revealing the growth of Albania as a hot tourist destination. The UN World Tourism Organization Report 2014 shows an increase of 12.6% in the number of visitors to Albanian shores from 2010 to 2011 (the latest official UN data available, from 2,191,000 to 2,468,000) which, when compared to growth in visitors across Europe of just 6.4% in the same period, is undeniably notable. Yet, more recent figures are even more impressive. The year of 2012 saw 3,156,000 international tourist arrivals for Albania, an outstanding increase of 27.9% from 2011, set within the context of a mere 3.6% growth in visitors throughout Europe in general terms during the same period, proving that with the advancement of the years comes the advancement of Albania’s tourist industry. And it is not difficult to see what is drawing the attentions of these overseas visitors. Blessed with over 200 days of sunshine annually, Albania is a year-round destination that boasts the wild beauty of striking mountain ranges, golden beaches with azure waters, and bustlingly vibrant city life. Yet Albania is also just 45 miles across the waters from Italy, has a low cost of living and is only a 2 and a half hour direct flight from the UK. With thousands more people discovering Albania’s charms year-on-year, there is also a marked increase in the numbers of people looking to buy property within the country, as either a base to explore Albania’s wonders themselves or from an investment standpoint – or both. Lalzit Bay Resort and Spa is situated on the beautiful Albanian coast, just 30 minutes from the international airport of Tirana, and features a host of 5 star facilities including a beach club, selection of top restaurants and bars, tennis courts and boutique shops. With a nod to Franz Josef Strauss’ claims, the resort is today bringing the flavour of “Virgin California” to the luxurious properties of Lalzit Bay, with villas designed to make the very most of the warm climate and inspired by California’s elegant and modern beachfront houses. Each boast spacious indoor and outdoor living, optional private swimming pools and the very best fixtures and fittings. 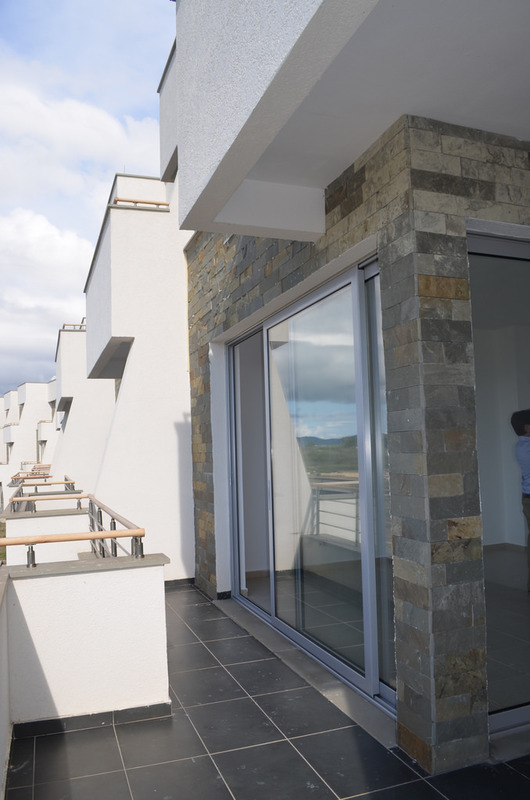 1 or 2 bedroom apartments to 3 or 4 bedroom villas are available, with properties ranging from €35,000 to €360,000. For more information contact Lalzit Bay Resort and Spa on +44 845 125 8600 or visit www.lalzitbay.com. 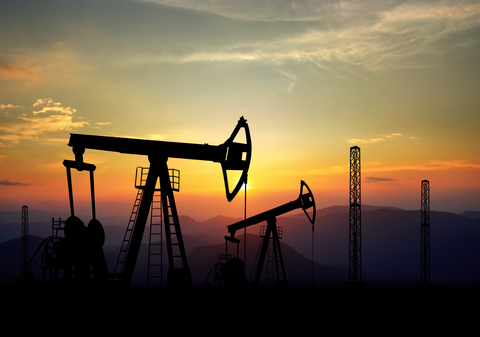 When thinking of the world’s prevalent producers of crude oil, countries such as the US, Russia and Saudi Arabia may well spring to mind as standout players in a market worth billions of dollars. Yet there is one country, not necessarily synonymous with oil production but increasingly taking its place in a highly competitive market, which is progressively pushing itself to the fore – Albania. Peer beneath the surface of this South-Eastern European country and it becomes clear that natural beauty is not the only resource that this Balkan gem is rich in. And this is not new news. The Romans began mining the plains of Albania for bitumen for their ships around 2,000 years ago and with the dawn of the 20th century came the more profitable infiltration by external companies, bringing with them increasingly mechanised production and generating impressive yields from this ‘black gold’. Interest over the years in this field was felt from Italy, the then Soviet Union and China, reaching a peak of almost 43,000 barrels a day produced, totalling 2.2 million tonnes each year. However, Albanian oil production started to decline substantially with the 1990s fall of communism dissolving the once profitable industry. This was until the last decade when companies from outside of Albania begun to show an interest in its natural resources. Canadian firm Bankers Petroleum’s investment from 2004 has made them a major player in Albania, home to the biggest European onshore oil field, currently producing 19,300 barrels a day. Part of the wider region that encompasses Montenegro, Croatia and South-Western Greece, many are claiming that Albania is part of a ‘new oil frontier’ that, in recent years, has been party to exploratory and mining work from companies including Albpetrol and Stream Oil and Gas and also gaining interest from industry giants such as Shell, in partnership with Petromanas. This growing success – and expanding reserves of the oil companies – not only has a knock-on effect for the Albanian economy, as well as strengthening the country politically, it also reverberates within other areas of Albania’s finances. Savvy investors are beginning to recognise the potential gains in the rental of homes to oil workers vacationing on the stunning Adriatic coast, with low investment levels and high returns on the cards, and the affluent workers themselves are also seeing the benefits of investing their hard-earned monies in a rising Albanian property market too. 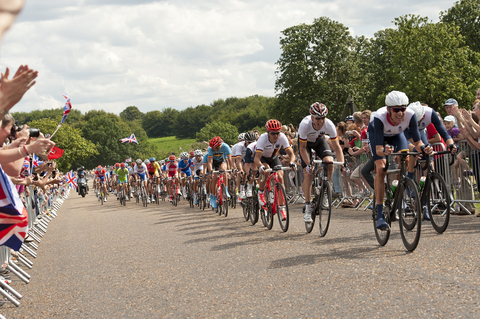 There are some excellent – and affordable – developments in the offing in which to do this. One stand-out resort is Lalzit Bay Resort and Spa, situated 30 minutes from the capital Tirana’s airport, the development boasts a beautiful private sandy beach and a range of 5-star facilities, including a range of first-class restaurants and bars, boutique shops, swimming pool, tennis courts and a beach club. Properties range from 1 or 2 bedroom apartments to 3 or 4 bedroom villas with optional private pools, inspired by California’s elegant and modern beachfront houses. All are built at low density and to the highest of standards. Prices start from €35,000 and range to €360,000.